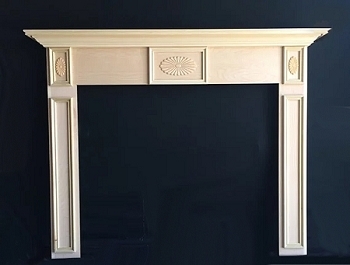 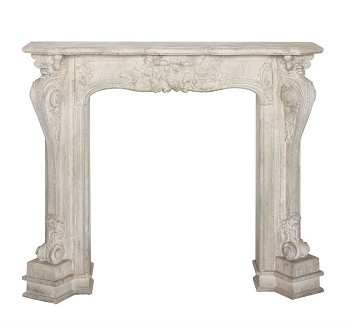 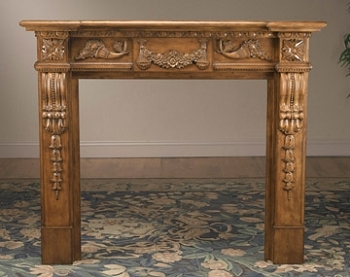 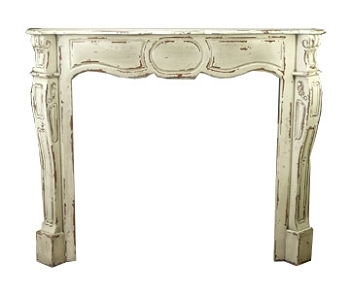 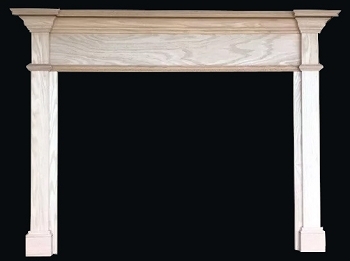 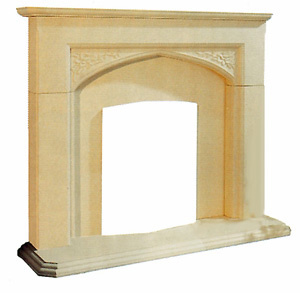 The Wexford mantel is made by a small custom shop and CAN BE CUSTOM MADE TO YOUR SIZE - see order details. 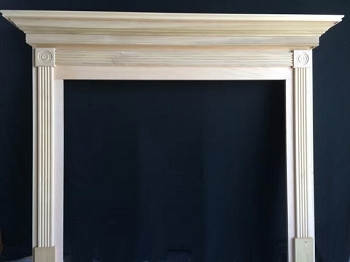 Ships in just 5-7 days! 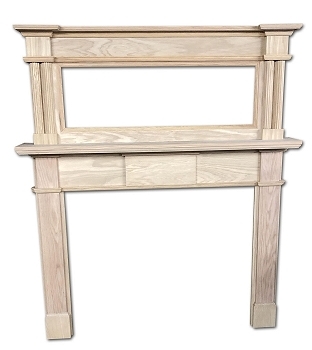 As pictured, it features solid moldings and is made of quality MDF veneer header, shelf and legs - ready to paint; also available in oak so you can stain it. 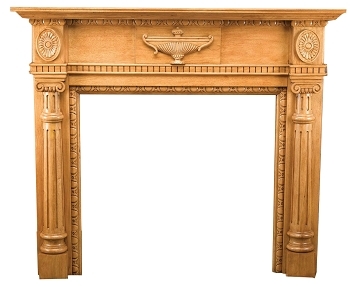 This is a nice traditional style that won't be out of place in any room. 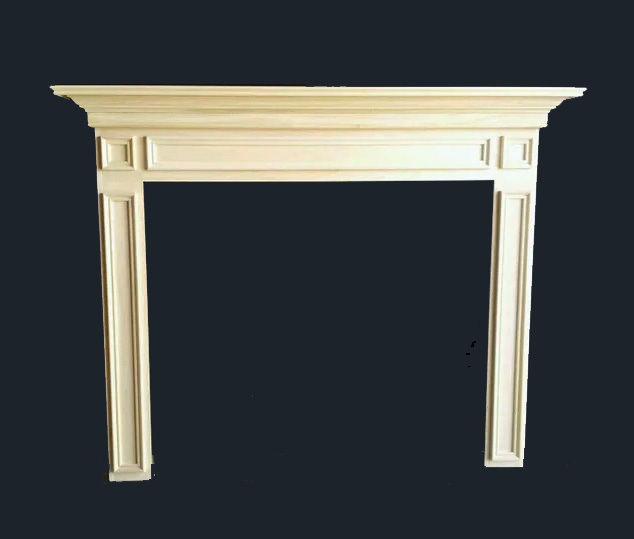 To help figure custom sizes, the mantel's INSIDE OPENING should be at least 12" wider than the fireplace opening and 8" taller for a wood burning fireplace to meet fire safety codes. 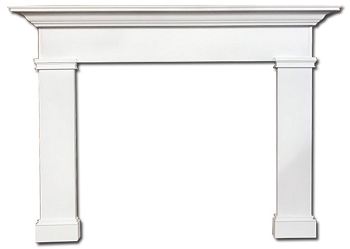 If using a wood stove or unvented gas logs, check manufacturer's specifications for clearances to combustibles.